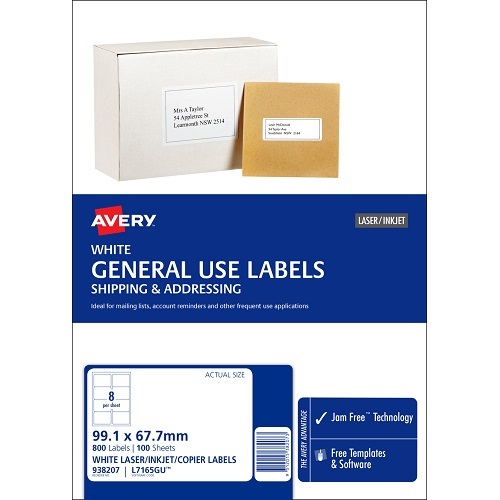 Avery White General Use Labels ideal for shipping use, large boxes and packages. 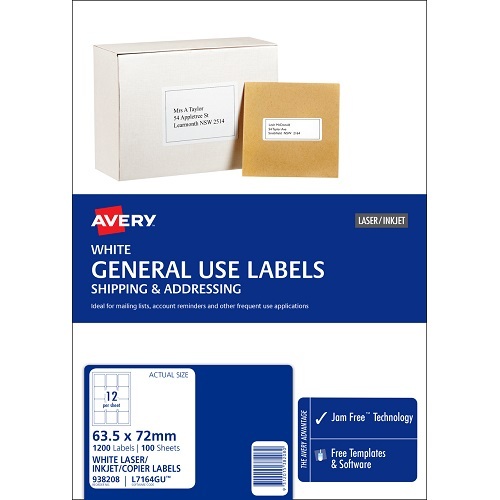 A4 Size - White - Permanent adhesive. 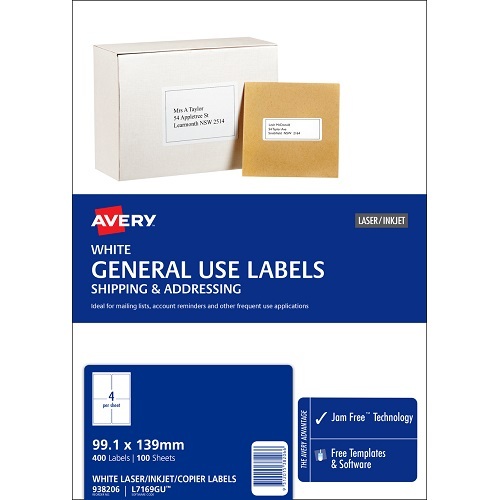 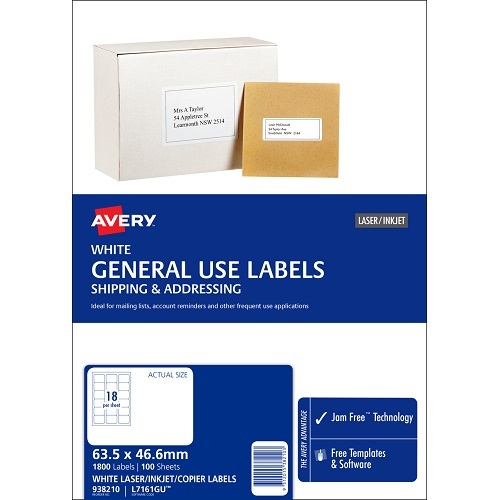 Avery White General Use Labels ideal for shipping use, large boxes and parcels. 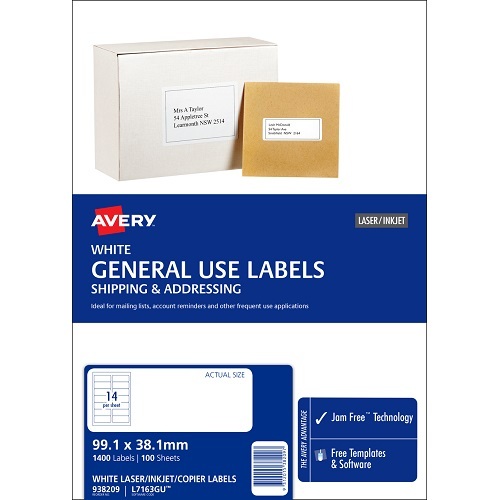 Avery White General Use Labels ideal for shipping use, envelopes and small parcels. Avery White General Use Labels ideal for mailing and addressing, particularly DL envelopes. Avery White General Use Labels ideal for mailing and addressing, particularly envelopes.